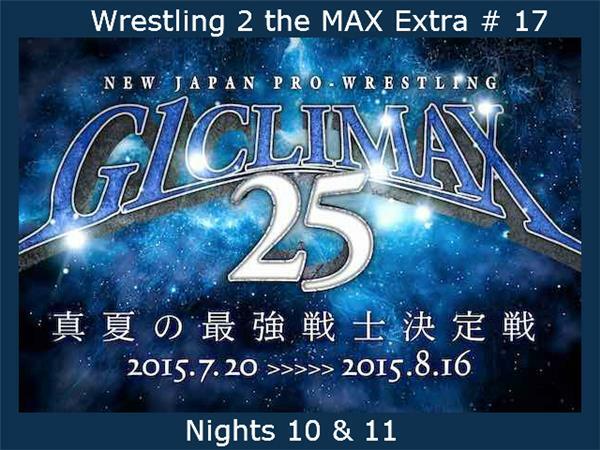 New Japan held shows in Sendai and Iwate on Tuesday and Wednesday for Nights 10 & 11 of the G1 Climax 25 tournament. Both Blocks were in action and Sean has the low down on everything that happened. Due to an error found in the video for Night 10, New Japan didn't upload it to NJPW World until really late last night. So, this is why I'm having to combine both nights again. Night 10 in Sendai featured Block B action with mostly good matches, but with only one standout match. Night 11 in Iwate featured Block A action with a few stinkers, a pretty good match, and a great main event.